Johns Creek is a northeastern suburb of Atlanta, that in 2017 ranked third on USA Today’s list of the “50 Best Cities to Live In.” It is a very family-friendly community that’s known for its excellent schools, safe streets and abundance of green spaces. Johns Creek has everything from outdoor recreational activities to fine dining experiences to a vibrant arts scene, so no matter what you like to indulge in, you’ll find it in ample supply here. More than three-fourths of Johns Creek’s population owns their homes, with just 22 percent choosing to rent. The median house value in the city is $366,200, which is nearly double the national average of $184,700. The median rent in Johns Creek is $1,469 versus $949 nationally. Unemployment in Johns Creek is 4.3 percent, which is slightly higher than the national average of 3.8 percent. The most popular home styles here are the contemporary, plantation, and garden. Johns Creek is a city that’s quiet, calm, and friendly. It’s a family-oriented community that offers all the trappings of the big city without all the commotion and crime. If you’re looking for a great place to raise a family or retire to, or if you’re a young professional looking for a cozy bedroom community for your new job in Atlanta, then Johns Creek should be on your short list. Most residents in Johns Creek commute to work by car because the city is not directly served by MARTA buses or trains. The only mode of public transportation is the GRTA Xpress Route 408 line that connects to nearest MARTA station in Doraville. Johns Creek has easy access to State Routes 120, 140, and 141. Although Johns Creek doesn’t have a very walkable infrastructure, plans are in the works for a pedestrian/bike bridge to be built over the Chattahoochee River, which would connect the city to Duluth. Johns Creek’s population is 52 percent female and 48 percent male. With 66 percent of its adult residents having earned at least a bachelor’s degree, it’s also a highly educated city. Johns Creek also enjoys a diverse population with whites, Asians, African-Americans, and Hispanics among the most common residents. The largest concentration of its residents is aged between 35 and 64 years, with those aged 45-to-54 years old making up the largest single group at 18 percent. Being such a family friendly city, 13 percent of the population are kids under 10 years old, and another 15 percent are aged from 10-to-17. Johns Creek is an affluent suburb of Atlanta where the median household income is $113,609, compared to $55,322 nationally. The median individual income is $50,534, which is nearly double the national average of $27,419. In Johns Creek, more than a third of the households earn more than $150k, and 41 percent of employed individuals take home more than $65k. Johns Creek’s culinary scene runs the gamut from cheap and fast eats to upscale fine dining restaurants. If you are looking for something quick, cheap, and delicious, then try Lil Kiko’s Taqueria for affordable Mexican standards, Lenny’s Sub Shop for some of the best sandwiches in town, or Burger 21 for big juicy burgers that won’t put a dent in your wallet. For more moderately priced fare, Mavericks Cantina is a local favorite with its Mexican/Southwestern food. Egg Harbor Café and Mari’s Cucina and Social House are two other popular dining spots in Johns Creek. Or, if you want to enjoy a fine dinner out, you’ll find the Italian cuisine at Trattoria One 41 to be authentic and incomparable, and you’re just minutes from Pampas Steakhouse in Alpharetta, the French restaurant Viande Rouge in Duluth, and Grace 1720 in Peachtree Corners. Johns Creek also has plenty of nightlife options for unwinding after work or partying over the weekend. The hookah bar, Bliss Bar and Lounge, is one of the most popular hangouts in Johns Creek and the recently opened Route 66 Restaurant & Music Venue is fast becoming a top spot for live music. For a more traditional drinking establishment, you’ll want to go to Pub Ten, while Wake Me Up Wine Me Down is your ideal wine bar. If you’re a beer lover, then Tap & Six in nearby Roswell has one of the best selection of brews in the area. Johns Creek has the distinction of being home to the only part-time professional symphony orchestra in the metro-Atlanta area, the Johns Creek Symphony Orchestra, which performs several concerts throughout the year. It’s also home to the North Atlanta Dance Theatre, one of the best performing arts troupes in the area. Johns Creek plays host to several popular festivals and events throughout the year, including The International Festival every April, Founders Week in December, The Fall Family Festival, Arts on the Creek, and The Taste of Johns Creek. For a glimpse into the region’s past, visit the Autrey Mill Nature Preserve and Heritage Center with its 1800s-era village and replica of a Creek Indian hut. Or, if you’re an artist at heart, The Johns Creek Arts Center is where you’ll find classes, camps, and an art gallery. 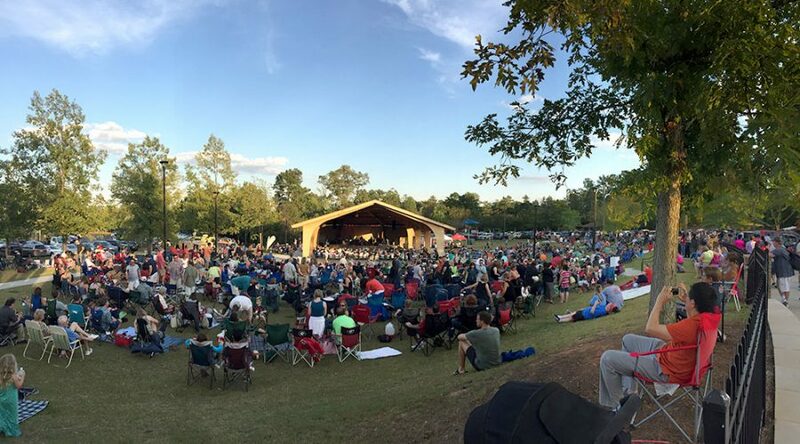 You can also catch the latest concerts and events touring the country at the Mark Burkhalter Amphitheater. If you’re a retiree looking to move to Johns Creek or you have an elderly family member moving with you, then Johns Creek is a wonderful place to call home. The city has its own active adult center called Park Place at Newtown School. Park Place offers seniors the opportunity to partake in yoga classes, art classes, book discussions, and a host of other fun and interesting activities. There’s also a Johns Creek Veterans Association, and every year Johns Creek joins Alpharetta, Roswell, Milton, and Sandy Springs in hosting the Fulton Golden Games for residents 50 and over. Seniors in Johns Creek are also within minutes of medical treatment should the need arise. Johns Creek is served by Emory Johns Creek Hospital and its numerous specialty branches offering care in just about every area of specialty, from vascular care to breast cancer support. Can't get enough of the Atlanta Metro? Sign up below to receive FREE home trends updates delivered straight to your inbox.